This weekend I am guest posting over at Lady Geek Girl and Friends, a multi-author blog devoted to geek culture with a refreshingly feminist perspective. 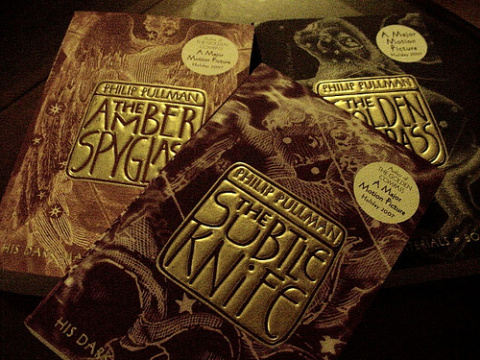 I adore their articles on topics such as Beauty, Morality, and Magic and The Problem of God in His Dark Materials, so I contributed an essay on Philip Pullman’s His Dark Materials trilogy in which I talk about how weird it is that Lyra Belacqua, the amazing female protagonist of the first novel in the series, gets sidelined in favor of a less amazing male protagonist in the next two novels. I argue that it doesn’t make sense to revoke narrative interiority from that character whose nascent sexuality is the key to one of the story’s major themes, namely, the transition from innocence to experience.